Photo of 2013 Accent courtesy of Hyundai. Hyundai and Kia have agreed to pay $100 million in a settlement for misstating the fuel economy of some 1.2 million vehicles they sold from the 2012 and 2013 model years. The automakers settled a claim from the U.S. Department of Justice and California Air Resources Board that they violated the Clean Air Act with vehicles that would emit 4.75 million metric tons of greenhouse gases in excess of what they certified to the U.S. Environmental Protection Agency. In addition to the $100 million civil penalty, the automakers also agreed to spend $50 million on measures to prevent future violations. Hyundai and Kia will also forfeit 4.75 million greenhouse gas emissions credits with an estimated worth of $200 million. The automakers understated the fuel economy of the vehicles by one to five mpg, according to an EPA release. The vehicles listed in the claim include the Hyundai Accent, Elantra, Veloster, and Santa Fe, as well as the Kia Rio and Soul. Commercial fleets registered 1,087 Accent subcompact cars in 2013, according to Automotive Fleet data. 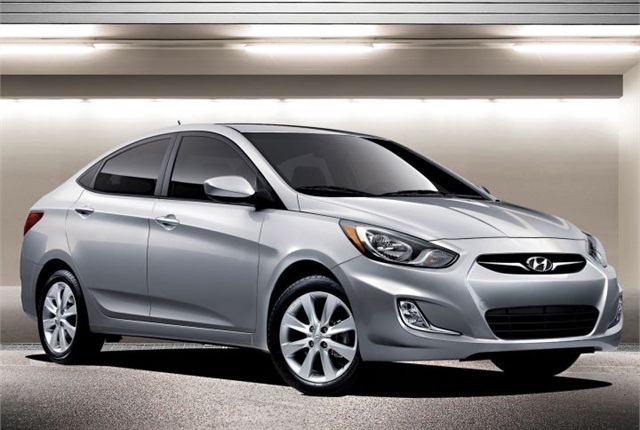 In December, Hyundai and Kia settled legal claims from customers who bought the vehicles. The California Air Resources Board will receive $6.34 million of the civil penalty. For more info, read the EPA release here.